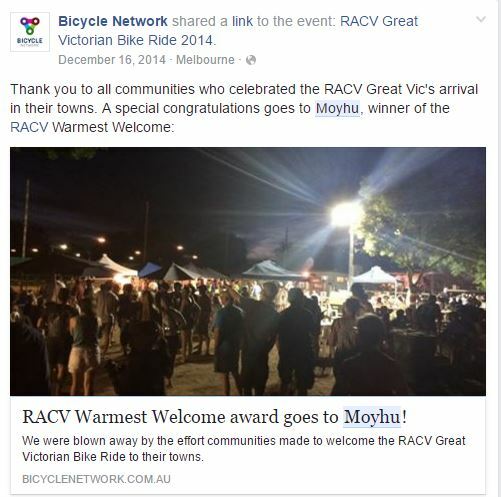 The inaugural King Valley Easter Escape has been inspired by the success of the Great Victorian Bike Ride in 2014, when around 4,000 cyclists descended upon the small town and were treated to a party, and participants went on to vote Moyhu as their favourite stop. “Moyhu will be a hub of activity and entertainment over the Easter weekend, with the Moyhu Action Group set to launch an all new event for the local community. 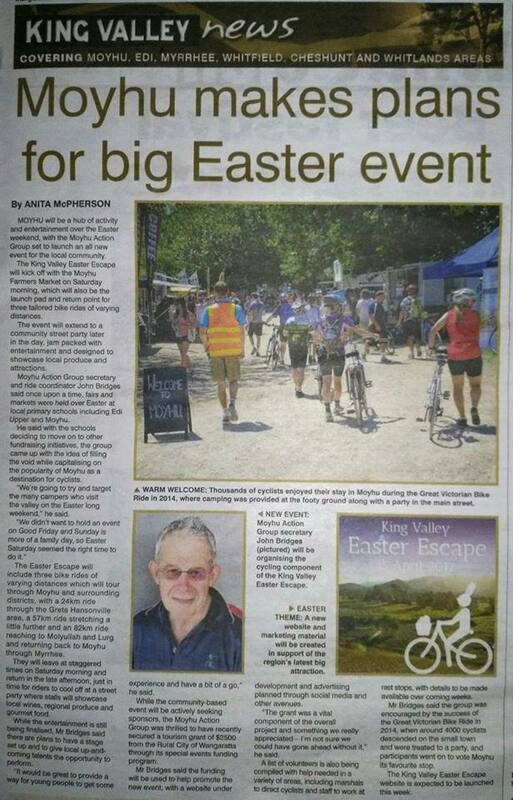 The King Valley Easter Escape will kick off with the Moyhu Farmers’ Market on Saturday morning, which will also be the launch pad and return point for four tailored bike rides of varying distances. Click here to check out the King Valley Easter Escape Program…. All only possible with the help and support of community volunteers, sponsors, our raffle and generous donations!